and East Timor. Despite its extraordinary diversity of ethnicities, religions, and political systems, Southeast Asia plays a key role in global economies and geopolitics, especially in light of its strategic position bordering China and India. This Very Short Introductionexplores the contemporary character of Southeast Asia's national societies through the lens of their historical evolution, from the eras of indigenous kingdoms and colonies under Western rule to the present's independent nation states. Deftly combining historical analysis and geopolitical insights, the book paints a bird's eye view of contemporary Southeast Asia as a community of diverse societies and traditions as well as a political theater-of-action nested between India and China and tangled in global economic traffic patterns, balance of powers, and environmental forces. As James R. Rush explains, archaic structures, such as religious and ethnic rivalries, tenacious feudal hierarchies, and age-old trade and migration patterns, remain rooted in today's Southeast Asia beneath the surface of modern national governments. The book draws on a wide range of examples from the major nations, including the ethno-religious violence in Myanmar, the Muslim-led rebellion in the southern Philippines, the Thai-Cambodian territorial rivalries, the Confucian-inspired governance in Singapore, the military rule and democratization in Indonesia, the environmental consequences of agribusiness, mining, and unchecked urbanization, and the big-power alignments and tensions involving the United States, China, and Japan. 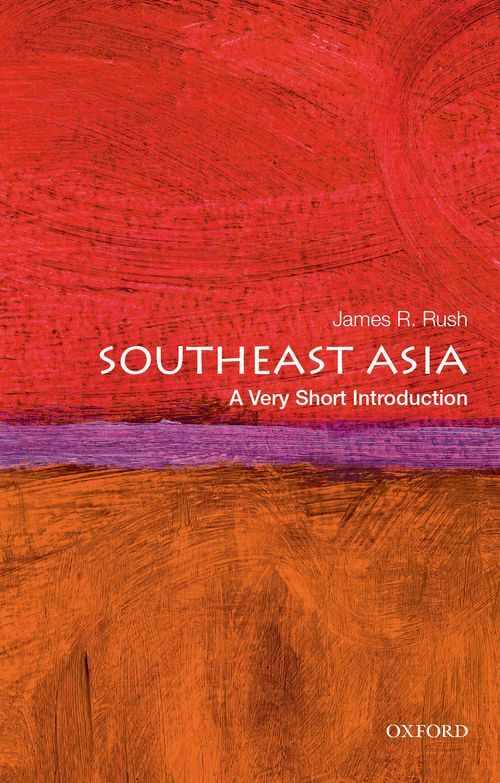 By delving into the cultural, political, and geographical background of Southeast Asia, Rush shows that Southeast Asia is unquestionably modern, but it is modern in distinctively Southeast Asian ways. 1: What is Southeast Asia? James Rush is Associate Professor of History at Arizona State University. He has served as Director of Arizona State University's Program for Southeast Asian Studies and as a consultant to The Asia Society, El Colegio de Mexico, and the Rockefeller Brothers Fund. He is the author and editor of several books, including Opium to Java: Revenue Farming and Chinese Enterprise in Colonial Indonesia, 1860-1910 and Java: A Travellers' Anthology.